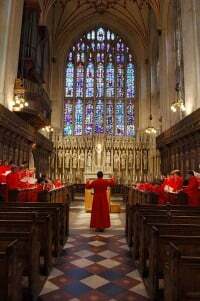 Tony Cummings from Cross Rhythms spoke with the director of Winchester College Chapel Choir, Malcolm Archer. January 26th 2018. Reproduced from Cross Rhythms website. Malcolm Archer has been rightly called “one of the world’s leading church musicians” and his achievements are, quite frankly, staggering. As an organ recitalist he has played in nine European countries and the US while his CDs take in composers as diverse as Bach and Messiaen. As a composer he has written over two hundred published compositions. And as a choir director he has served at Norwich, Bristol and Wells Cathedrals while his time as Director Of Music at St Paul’s Cathedral saw his best-selling album of Christmas music at St Paul’s named Editor’s number one choice in the Daily Telegraph. 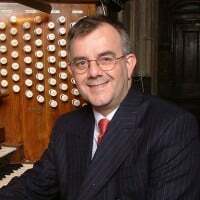 In August 2007 he took up a new position as Director Of Chapel Music and organist at Winchester Cathedral where he is in charge of the Winchester College Chapel Choir as well as teaching the organ. That choir directed by Archer recently released ‘Mozart Requiem‘ on Convivium Records. For the album producer Andrew King brought in some fine soloists – soprano Sarah Fox, alto Diana Moore, tenor John Mark Ainsley and bass Ashley Riches. They and the London Mozart Players (the UK’s first chamber orchestra formed back in 1949) do a great job on the Requiem which Cross Rhythms’ reviewer described as “one of the all-time greats of the sacred choral repertoire.” But it was the transcendently beautiful voices of the choir which most gripped the listener. As CR’s Steven Whitehead wrote, “. . . there is a plethora of recordings [of Mozart Requiem] available, all following a slightly different approach and many featuring world famous soloists and conductors. It seems almost unbelievable to suggest that what is basically a school choir with guest soloists can stand in such exalted company but under Malcolm Archer’s assured direction we get another worthy addition to the catalogue.” I asked Malcolm how this worthy addition came into being. I suggested that recording such a much-loved work meant that the Winchester version was bound to be compared to previous recordings of the work. “I think that’s right. I think whenever you record a famous work you always do have that problem. The other side of that coin is that just lately a lot of the recordings that have been made of the Mozart have been modern completions because, of course, Mozart didn’t finish the work. He got as far as the lacrimosaI I think, about eight or nine bars in, and that was the point where he died. So, various different people have completed the work. We decided to go back to the original Sussmayr completion, because Sussmayr had been a pupil of Mozart and knew him very well. I finished our fascinating chat by suggesting that unlike many forms of “Christian music”, choral music is appreciated by a large audience outside of regular church goers. “I think that you are absolutely right. I think there is something about choral music which puts people in touch with their spirituality. There are so many things about modern life that are so sort of matter of fact and rather unspiritual in a way that I think people long for that element of spirituality back in their lives. I think that is one reason why so many people now go to churches and cathedrals at Christmas time. You get record numbers going to cathedrals and carol services and so on. I think that it is that sense of mystery that people feel is missing in their lives and choral music and good quality worship can bring that back for them.